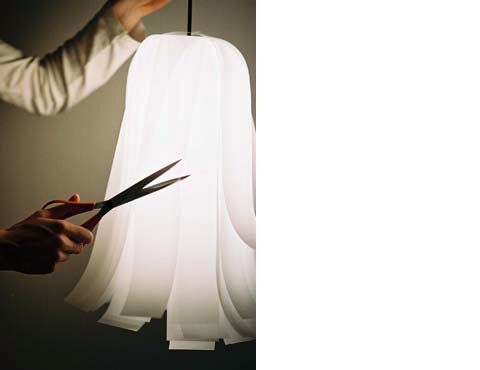 CUT is a hanging light shade that comes with its own scissors. 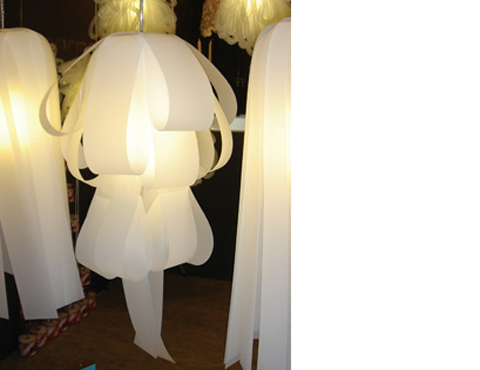 The owner is invited to customise the product, thereby becoming an integral part of its design. 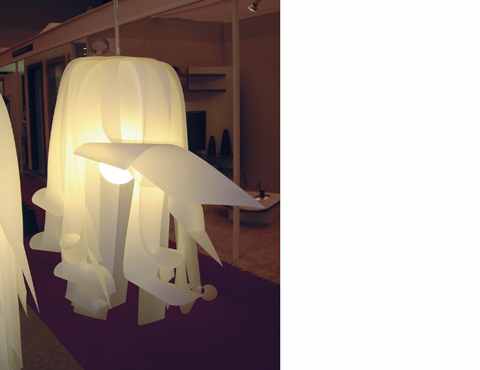 CUT was awarded two prizes: ‘Best in show, New Product Award’ at Maison et Objet, Paris, 2005 and ‘Best Lighting’ at Autumn Fair, Birmingham, 2005.